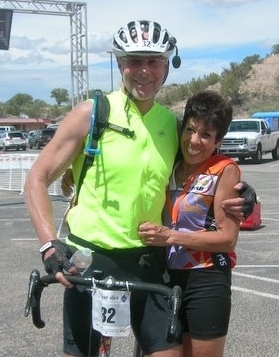 We are Rosi Rodriguez and Perry Pedersen, wife-and-husband, who know firsthand how dancing and bicycling make the world a happier, healthier place. We also know firsthand about two dance-hindering, bike-hindering diseases – MS (multiple sclerosis) and ALS (amyotrophic lateral sclerosis, or “Lou Gehrig’s disease”). So although we’ve been MS Society fundraisers for nearly 20 years, two recent events compelled us to create Pedal & Swing, and to include BOTH the ALS Association and the MS Society in our fundraising activities. In April 2013, Rosi’s son, Erik, was diagnosed with MS. The year prior to Erik's diagnosis, Carolyn, a woman responsible for bringing our neighborhood together, was diagnosed with ALS. And in early 2015, a dance pal, Eleanor, was also diagnosed with ALS. 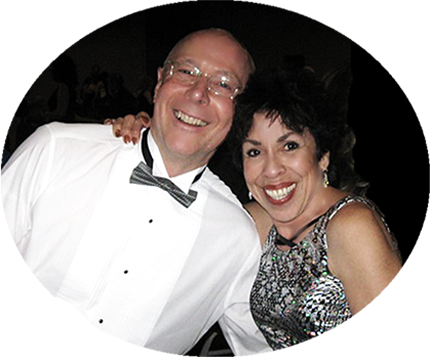 The Pedal & Swing mission is to facilitate donations to the MS Society in honor of Erik, and to the ALS Association, in honor of Eleanor and Carolyn, to support those affected by these diseases, and to support research for finding cures, by bicycling and dancing.